We are a privately owned, family run business that runs alongside our farming activities. Situated by the village of Eastgate-in-Weardale the caravan park comprises of two adjacent sites, located along the River Wear. Both sites are set within areas of developed woodland, offering very spacious pitches with both riverside and countryside views. 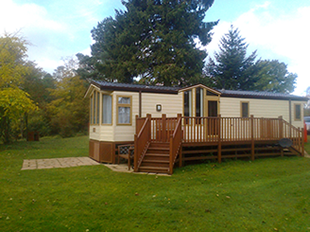 Caravans are all owner occupied and pitches are mostly concrete with an ongoing policy of improvement. We pride ourselves on having a friendly family atmosphere within the Parks as we are both child and dog friendly. A high quality of service is also provided to ensure the perfect holiday. 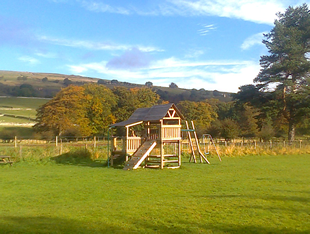 A children’s wooden play area is situated in a field at the entrance of White House Park. This is for the use of all caravan owners and their families, as well as other recreational activities such as walking dogs, cycling and football, providing consideration is given to others. Set in a quiet picturesque part of Weardale this is the ideal place to meet like mind people and to do as much or as little as you wish, during your stay. Tarmac roads and parking areas. All caravans have mains electricity, water and drainage. Bottled gas sales.